Fotografije dana: 7. decembar 2016. 1 Kathleen Chavez, left, talks with her father Ray Chavez, right, age 104, of the USS Condor. 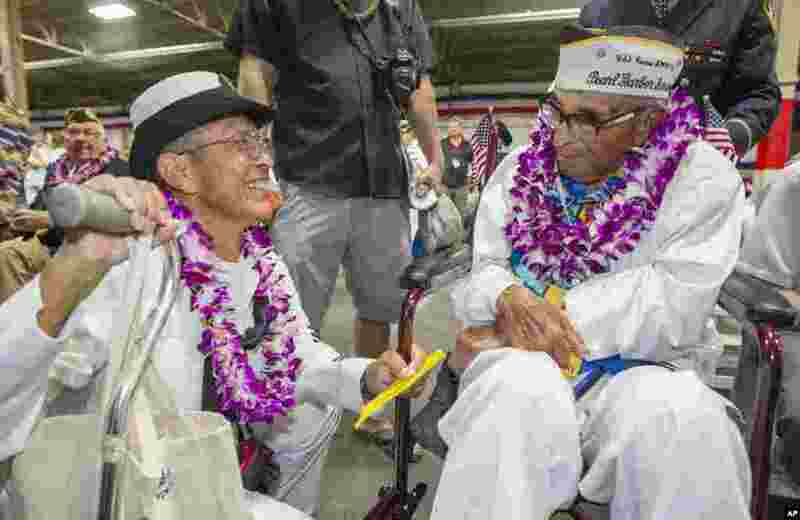 The oldest living survivor from the Pearl Harbor attacks along with the remaining living survivors of the USS Arizona gathered at the World War II Valor in the Pacific National Monument at Joint Base Pearl Harbor-Hickam, in Honolulu, Hawaii. 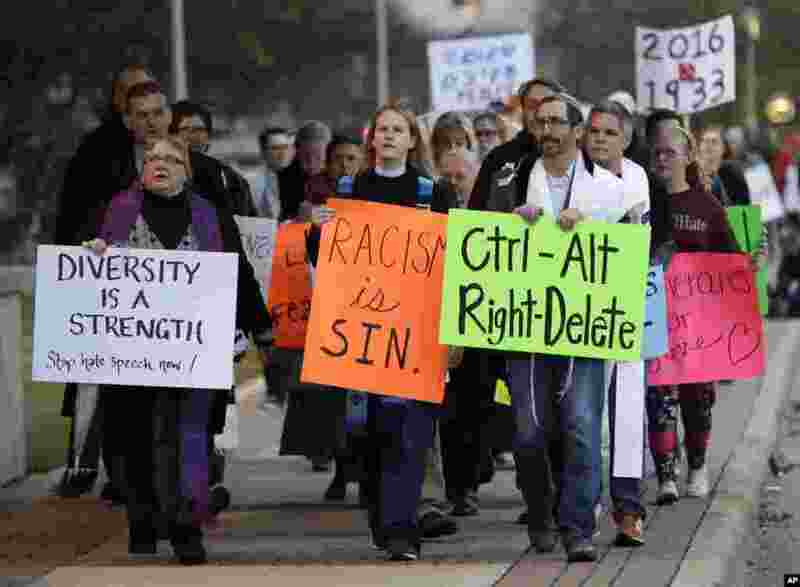 2 Demonstrators hold signs as they chant outside the venue where Richard Spencer, who leads a movement that mixes racism, white nationalism and populism, is scheduled to speak at Texas A&M University in College Station, Texas, Dec. 6, 2016. 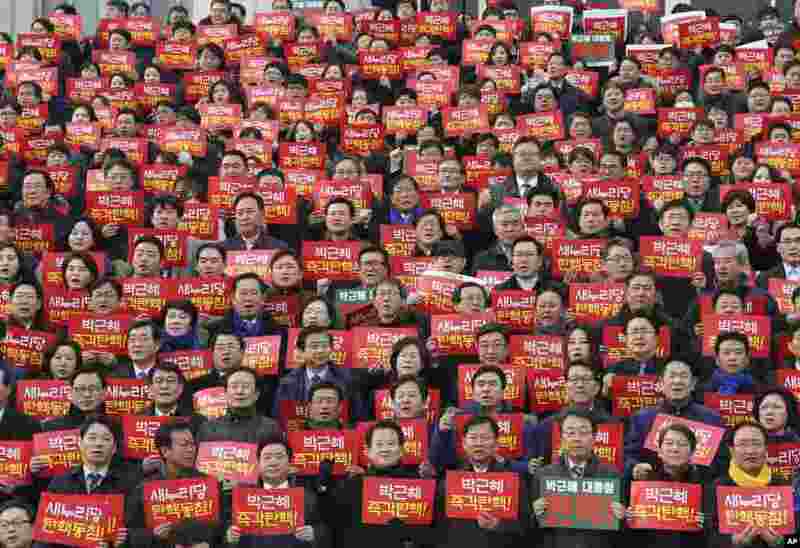 3 Lawmakers and members of opposition parties hold cards during a rally demanding the impeachment of South Korean President Park Geun-hye at the National Assembly in Seoul. 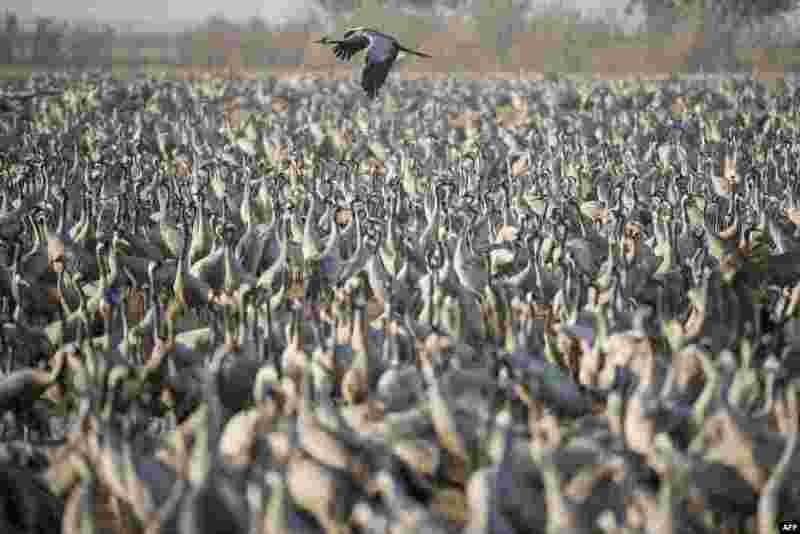 4 Gray cranes flocking at the Agamon Hula Lake in the Hula valley in northern Israel.